Cigna is one of the oldest health insurance providers dating back its origin to late 18th century. As one of the largest American based insurers it expanded its services to global customer base in the late 1980's. As of now Cigna has offices in North America, Europe, Asia, Latin America and Oceania. With its impeccable track record Cigna offers some of the best and comprehensive health insurance policies available on the market and through its wide ranging experience is capable of providing the necessary assistance to its individual and corporate clients. Over the years the company has received multiple awards for its consumer relation services and innovative technologies that have aided its customers over the years. CIGNA is able to provide superior Russian health insurance plans and ensure that those plans are able to cover you anywhere in the world. As one of the leading names in the International health insurance industry, CIGNA has you covered in Russia. 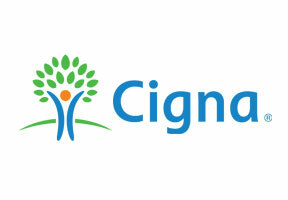 If you would like to get more information about Cigna please fill in the query form at the top of this page. Alternatively you may contact us in order to seek expert advice directly from our knowledgeable Russia Health Insurance consultants.